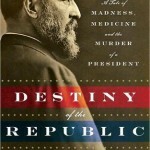 In particular, it is about James Garfield, the twentieth U.S. president. This well-written account covers his earlier life and how he came to be Chief Executive. The story of Garfield’s sudden path to the presidency alone will astonish anyone familiar with current American political machinations. It and then focuses on the largely forgotten story of his assassination and death, including the strange life of Charles Guiteau, Garfield’s assassin. Millard’s narrative puts these two men on a dramatic and riveting collision course toward their fateful intersection at a Washington D.C. train station in the summer of 1881. This is followed by the tragic tale of Garfield’s medical care. Millard asserts through it that Garfield could have – and should have – survived his wounds. 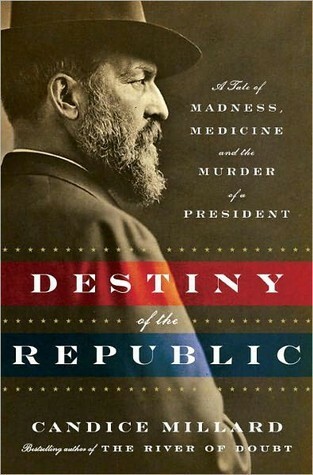 The book’s lively cast of characters includes Roscoe Conkling, a New York political boss and senator who, at the time of Garfield’s election, had the American political system wrapped around his fingers. Readers will enjoy the appearance of Alexander Graham Bell, who put his inventive genius to work to try to save Garfield’s life. And a lively review in Goodreads. 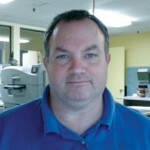 Greg Johnson is a graphic designer in Belmont, California. He served in the U.S. Navy from Nov. ’81 to April ’86, mostly aboard the USS Nimitz as a “blueshirt” – that would be an aviation boatswains-mate, for the uninitiated reader!